Protect the foundations of your house. If you neglect the minor mold-related issues in your home and constantly delay sealing cracks or checking pipes for leakage, you stand very high chances of being eventually a victim of a water damage. Getting your pipelines inspected once every few months will decrease the risk of your home being damaged by water, mold, mildew, or high levels of humidity. Keep in mind that the San Francisco, CA is based in the Bay Area where the levels of humidity are extra high, so you may even need to do this once a month. If you fail to do it and the structure of your property gets damaged, it may later take more time, money, and effort to get it fixed. In fact, you can save more in the long run if you spend a small amount for Mold inspection services now. 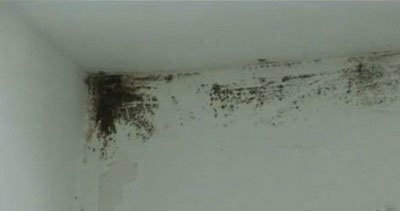 If you are not a mold removal specialist yourself, it is very unlikely that you notice the first microscopic signs of mold growth. Unfortunately, by the time you understand where the real problem comes from. it may be a bit too late to get a fast and adequate treatment for it. Specialists can detect any spores from the very first moment when they appear, while an untrained eye may spend weeks researching for what is causing the trouble. And when they do - there still may not have a solution for it. Some problems are not meant to be solved by a single person. Even if you are really good with home renovations, masonry work, and, you may still prefer to take advantage of the services which another contractor offers. It is much better to admit that you cannot face a heavy-duty mold remediation job yourself. Otherwise, you may start a repair project on your own and fail in its very beginning, eventually ending up booking professional services in the last minute. You are not trained and equipped to perform a job that requires particular techniques, then you may and up causing a greater damage than the initial one, especially when it comes to fixing burst or leaking pipes, post rainstorm roof damage, or floods. There is specialty water extraction and aeration equipment that you may need. Call our specialists to learn more. The sanitary side of this matter should also not be underestimated. Odor and bacteria removal are sometimes two activities for which you need specific cleaning products and product application equipment, especially when it comes to the septic pipelines. Professional mold removal specialists are using specialty tools that may provide additional help with the water damage restoration in San Francisco, CA. Get your free evaluation of mold and humidity domestic issues solved now by calling GCD Restoration at (650) 835-4447. We service both last minute calls and also pre-booked mold removal services in San Francisco and the Bay Area. Sometimes a single call may do a great improvement of your life and health! Start today!